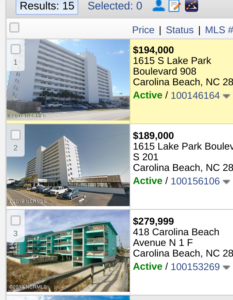 We’re looking at forty percent less inventory across the board and it’s even more pronounced with the oceanfront niche of condos in Carolina Beach. To learn more see Wilmington-real-estate.com’s Carolina Beach. he other thing you look at the prices here I have one if I can pull it up here going back three years prices have gone up 26%. hopefully this will fit on my chart. percent right there. but if you look at even in just the last year and you do the same thing, I’m gonna try and do a little cut out here live with you to make it more interesting to look at visually. 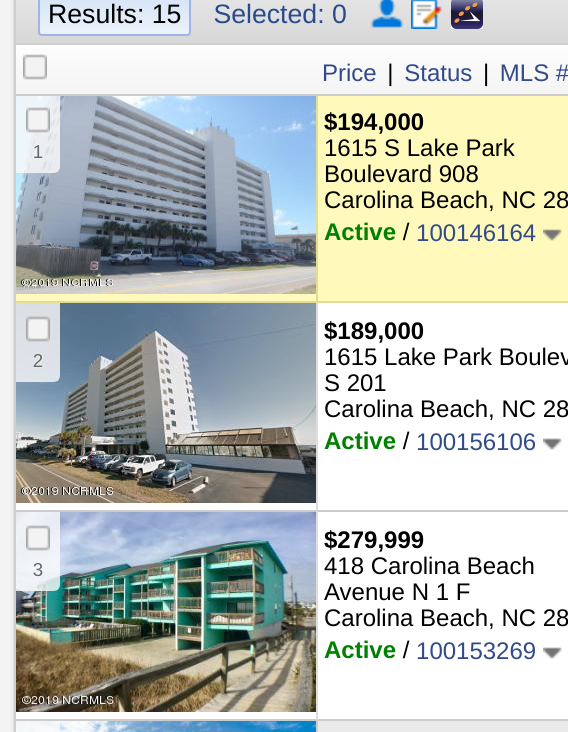 just the last year alone we have a calculated about to be 20% increase in the condo prices at Carolina Beach. so a couple of things for perspective this this property. at its peak, let’s get back to it these two twos at their peak oceanfront, they were probably closing like five hundred. I’ve been saying…I’ve been thinking anyway we’re not going to get back Peaks. we’re gonna go close though because now we don’t have interest only loans; we don’t have no doc loans. I literally go back in and I said see some bizarre previous sold prices. like I was at Surf City I think or Topsail Beach there was a home listed for 385 and it closed for 835,000 before. and I’m thinking that must have been one of those interest-only no doc type loans during the frenzy. so we have controls in place for the market to not get out of hand but with this severe inventory shortage and what I’ve predicted with a great economy that I was expecting going back several years ago that the prices are going back and are probably going to go back up real close to the previous Peaks. there’s still a lot of upside left but the time to buy is now. 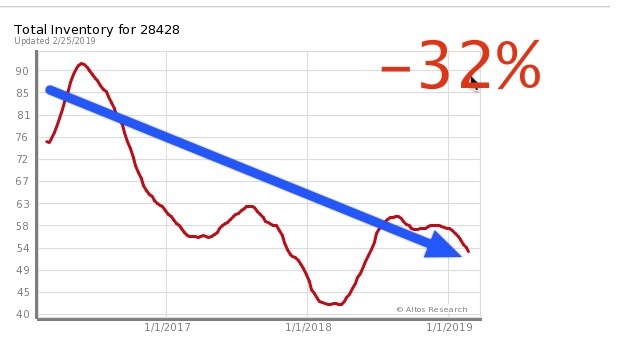 don’t wait much longer you’ll be sorry for it the last three years every year that you waited you might have lost you know $15,000 in value for example so it’s a serious deal with 2019 the rental season is about to arrive for the vacation rentals in Carolina Beach and North Carolina. so it behooves you to get under contract to get your home out there for rentals by May; so the time is running out on that endeavor. Thanks so much and I look forward to negotiate the best possible deal with you. next I’m going to do an article and how to win it real estate when there’s no inventory. and I know a lot about this from my experience both locally but especially in Northern Virginia where for seven years I was a top 1% agent in the most wealthy county in America, and for a long time there we were in the frenzy there was always three to ten competing offers etc. so I became a ninja Grand Master and helping people win it real estate when there was no inventory I’ll talk to you soon.